The time has come. Hearthstone’s Standard Format Rotation is here. Three expansions will be leaving us: Journey to Un’Goro, Knights of the Frozen Throne, and Kobolds & Katacombs. These are three of the most powerful expansions we’ll likely ever see in the game, with the ‘Death Knight’ hero cards dominating the metagame for their entire run in the game, as well as extremely prevalent cards that defined many meta decks such as Carnivorous Cube, one of the strongest cards in the history of the game. Some cards will be sorely missed. Pour one out for The Lich King, the quintessential turn-8 power play. We’ll also be losing a whole lot of elemental minions, since they were introduced to the game first in Journey to Un’Goro. As a fan of playing Hunter too, I’m going to miss Deathstalker Rexxar, the hero card that carried me to a ton of wins that I didn’t deserve against decks with more legendary cards than I could ever dream of. In all seriousness though, this is going to be good for the game. Unforeseen synergies, such as the infinite Shudderwock combo that led to Saronite Chain Gang’s nerf, the aforementioned overpowered Death Knight hero cards, as well as many other cards’ power levels being far too high for new expansions to have any impact on the meta, mean that it’s high time for these sets to get outta here. The rotation isn’t the only thing going on though. We’re looking at a whole bunch of changes that are going to shake up Hearthstone to an unrecognisable degree in the coming year: the year of the Dragon. All the changes are summarised in a blog post from the Hearthstone team. I’m going to talk about the things that I think will be most impactful for the coming year of the game. Firstly: the Hall of Fame. This has, in the past, been reserved for cards in the Classic set that have been deemed too powerful or design-limiting and are taken out of Standard format like Ice Block. Its removal opened up a lot more design space for Blizzard to do interesting things with the Mage class that would actually see play, as otherwise its existence would mean there’s little reason to not play it in almost every deck. Some cards are being moved from Classic to Hall of Fame, namely Naturalize, Doomguard, and Divine Favor. Sure, they’re probably good changes - Naturalize gave Druids single-target removal far too efficiently (as well as ridiculous combo potential), Doomguard’s ‘charge’ ability doesn’t really fit with the Warlock theme of board control, and Divine Favor allowed aggressive Paladin decks to restore their hand size way, way too easily. What’s most interesting about the Hall of Fame though is the unprecedented moving of expansion cards out of the Standard format. 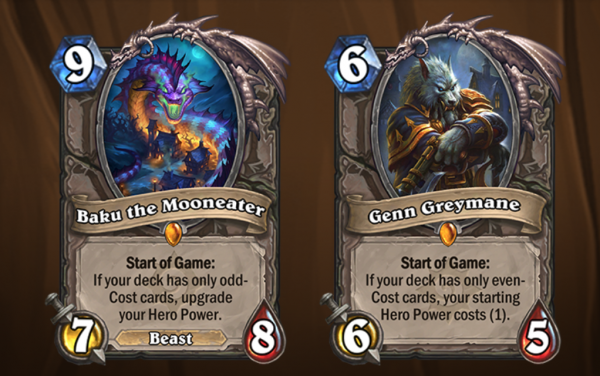 That’s right, from now on, Baku the Mooneater and Genn Greymane will be exclusive to Wild format, as well as four cards specifically created to support them. Odd and Even cost decks have ruled the metagame since these two cards were introduced in the Witchwood expansion early in 2018. Decks like Odd Paladin have been unstoppable, despite the developers’ attempts to reduce its power level with nerfs like Level Up. It turns out that a ‘start of game’ effect, even with deckbuilding limitations, is too game-defining. When a Paladin player can reliably create two 1/1 minions with just 2 mana each turn, wait until the opponent can’t remove them, then hit them in the face and win, things get a bit predictable. Up against an Odd Paladin, the only real matchup issue is control decks that can constantly play taunt minions and deal with the constant threats on the board. According to HSReplay at the time of writing, Odd and Even Paladin are the highest winrate decks in the entire meta, and this had to change. Therefore, for the first time ever, we’re seeing cards taken out of rotation a year early. Another year of Odd and Even deck dominance would get dull very swiftly, and a lot of players have already had enough of it. Full arcane dust refunds will be given for all cards being Hall of Famed, although you won’t be able to get the full amount back for all the complementary cards you crafted for your Odd Paladin deck to work properly. I’m super excited about the changes coming to the Arena. This game mode has been neglected by Blizzard for a while, and it shows. Not any longer. Now, instead of the Arena cards available being the exact same as in Standard, old sets will be moved back in to be drafted, giving rise to a whole new metagame. Twice each expansion, the sets available will change, meaning the game is constantly evolving and the potential combinations is enormous. First in the Year of the Dragon will be the upcoming expansion due for release in April, the Basic set, the Classic set and The Witchwood, along with old favourites Whispers of the Old Gods, Mean Streets of Gadgetzan and Curse of Naxxramas. Giving newer players the opportunity to play with old cards is something often reserved for the Tavern Brawl mode, but here we’ll all be able to combine cards in an exciting way never before seen. I’m going to be praying to the Old Gods that one of my drafts includes Yogg-Saron. I don’t care how hit-or-miss that card is - it’s the ridiculous shenanigans we all know and love Hearthstone for. The single-player content has been popular in Hearthstone’s recent expansions, particularly the ‘Dungeon Run’-style adventures popularised in Kobolds & Katacombs. This time around, there’s going to be even more. A deeper, more involving single-player experience awaits, which will be lapped up by many, including myself, who love exploring the possibilities against various AI opponents. 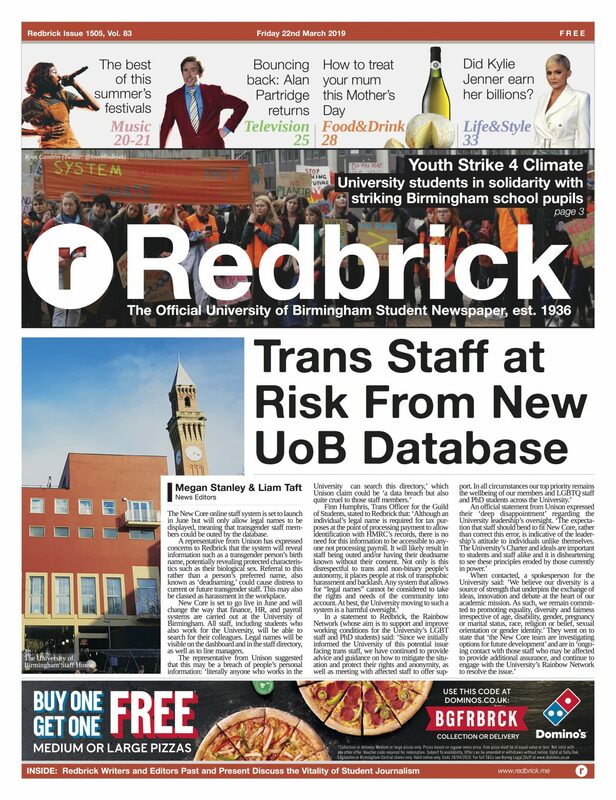 One issue: it’s not free. Since Hearthstone began releasing its content in expansions rather than ‘adventures’ like One Night in Karazhan, the accompanying content has been simpler, but without additional investment (card packs are expensive enough). This time around, the first part of the single-player content will be free, with the subsequent 4 chapters available for 700 in-game gold each, or $19.99 for the whole thing. This does come with rewards (card packs and the like), so as to make the real-money investment not feel completely outrageous. Honestly, I’ll probably pay. I get a lot of enjoyment and drain a big bunch of time into Hearthstone’s PvE gameplay, so it feels worth it to a dedicated player like me. I’d exercise caution if I were Blizzard though. Adding more microtransactions is a risky move and slippery slope, and no one wants to see Hearthstone, microtransaction-filled as it is, fall even further to the corporate greed that plagues the gaming industry. All in all, I think these changes can add up to breathe new life into this game. It still reigns supreme in the collectable card game genre, despite numerous attempts to knock it off the top. There’s always something to complain about with an ongoing online game experience, but these upcoming updates give me hope that they care about keeping the metagame healthy. This, as well as small quality of life changes like a random card back generator that selects a random cosmetic card design from your collection each game, mean we should keep our eyes out for the future of Hearthstone. After a year of slowly declining interest, I’m back on board.